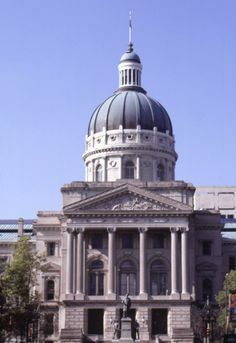 Let us deliver it on May 2 in Washington, D.C.
Indiana Library Federation (ILF) is collecting letters to share with our members of Congress about the value of InfoExpress, Evergreen, SRCS, Talking Books, summer reading support and other services from the Indiana State Library. Each of these critical services is supported by the LSTA grant, which is targeted for elimination under the president's proposed budget. We would like to have l etters from libraries, staff, volunteers, patrons and supporters to deliver in Washington, D.C. when at least six of us will be meeting with members of Congress and/or their staff on May 2. View our draft letter with suggestions. Email Lucinda your letter (customized, on letterhead and signed) or a request for help in customizing your letter with specific examples from your community. DEADLINE: April 28. This is last week of the session, when the final amount to support internet connectivity for libraries and schools will be decided. If you have not shared the value of internet connectivity with your state legislator, call or email them Monday-Wednesday, 4/17-4/19. The budget will probably be finalized by Thursday. See tips.